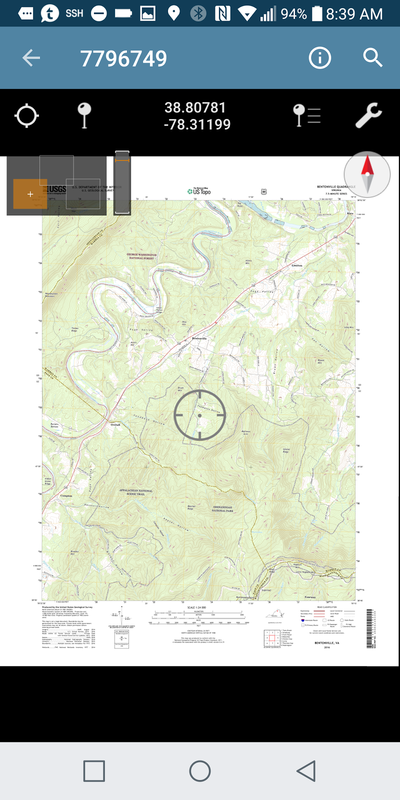 After my last backpacking trip I decided it was officially time to switch from paper to digital maps. 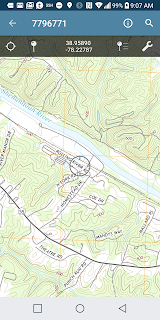 Sure, busting out a topo map makes me feel like I'm 14 years old again and trying to navigate the Adirondacks with fellow Scouts. 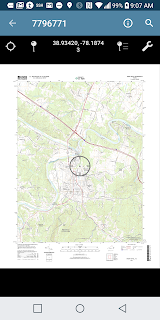 And yes, a traditional map has never run out of batteries or been damaged from being dropped. 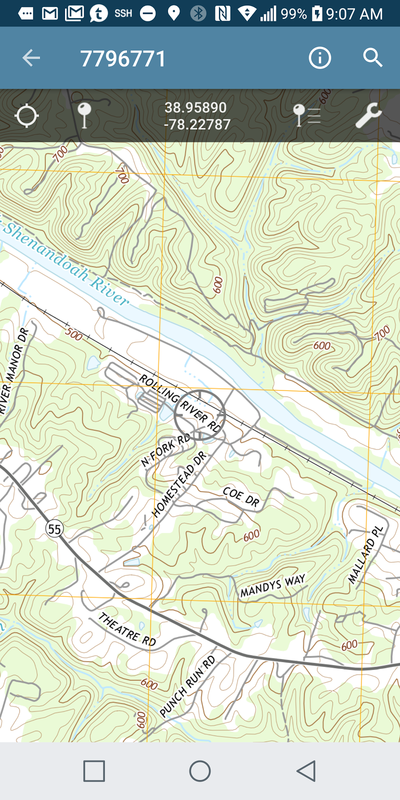 But digital maps, like using a GPS with your car, is ultimately a game changer, and the functionality can't be beat. Not to mention, my phone is waterproof and I'm carrying an extra battery for it. Ultimately, the risks of depending on a digital device for a weekend trip is outweighed by the benefits of the tech. So I was going digital. But how? 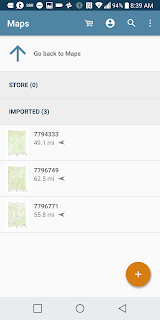 It's a bit hard to see there, but there are 54 map files in the area I selected. Clicking on the download link of one of the entries gave me a PDF file. 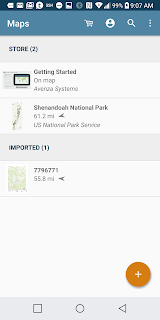 I was pleased to see that both the paper map and results from the USGS search both referred to 7.5 minute maps. 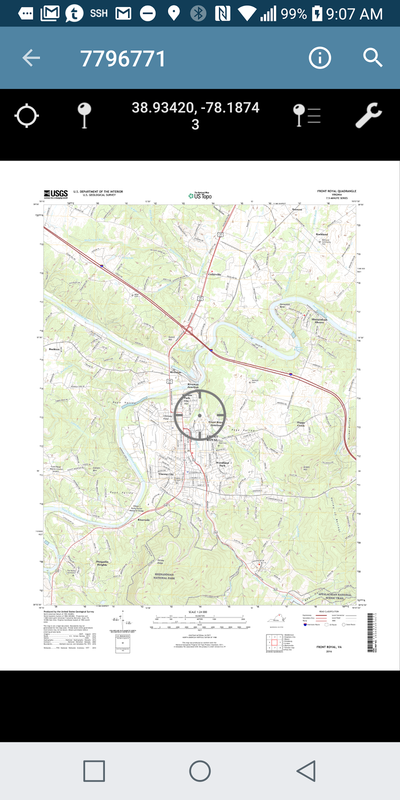 So now I had a single 7.5' USGS topo map. But as a PDF, it's basically useless. 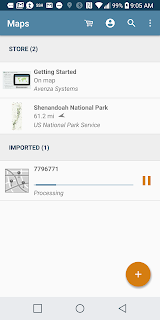 This was a huge step in the right direction: I'd imported a USGS map to my phone. 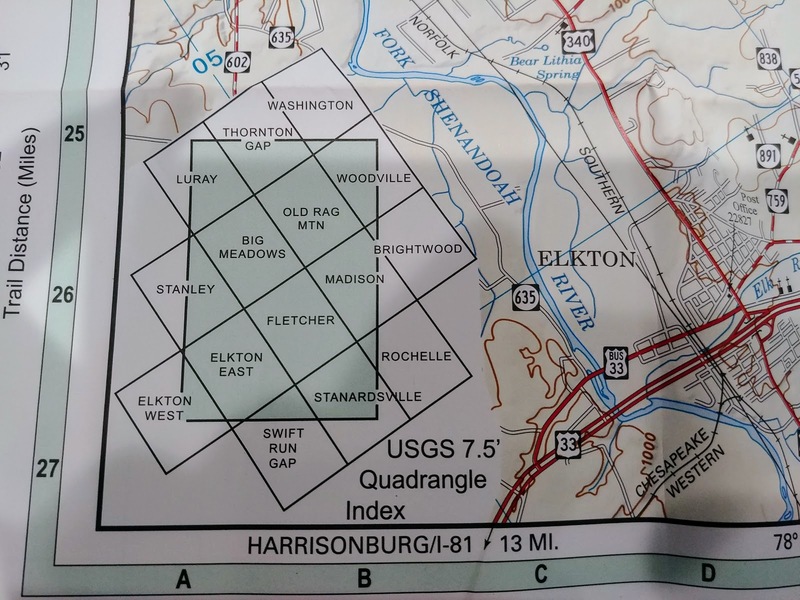 The next challenge, however, was to account for the fact that one 7.5' map isn't an especially large area. 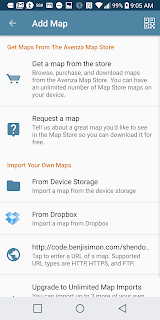 What I needed was a way to import multiple PDF files into Avenza, yet have them be treated as one individual map. 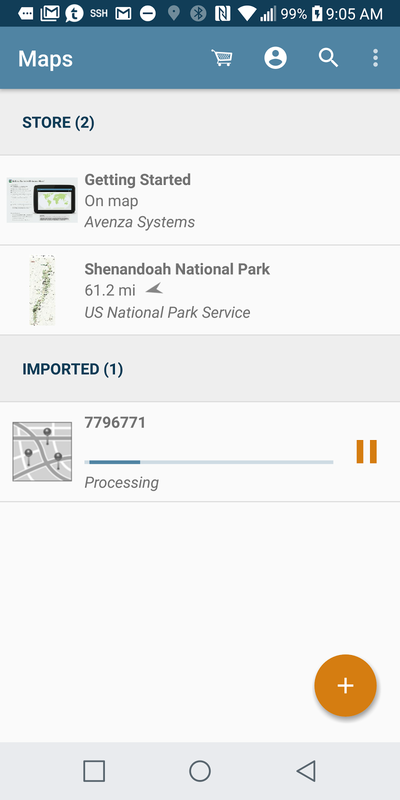 To do this, I would need to download multiple PDF files from the USGS, create a Collection within Avenza, and import each PDF into this collection. That sounded like a lot of work. Fortunately, Avenza provides a better way. 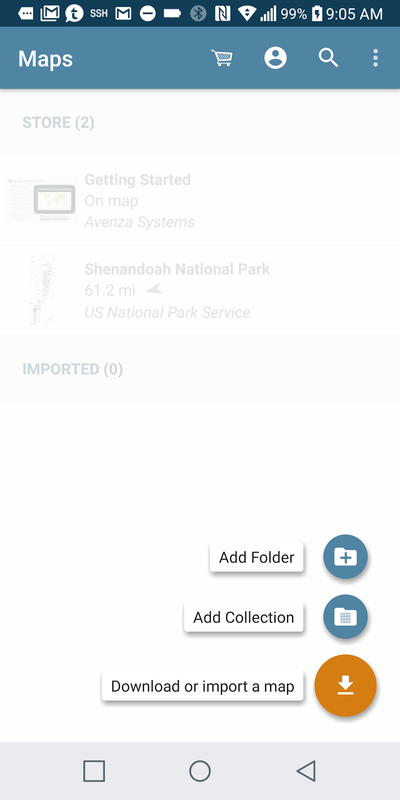 You can bundle PDF files together using a .avenzamaps file. 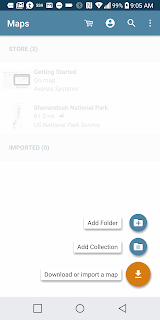 This is a JSON formatted file, and one that's easy to create given the .txt file that you can download from the USGS. 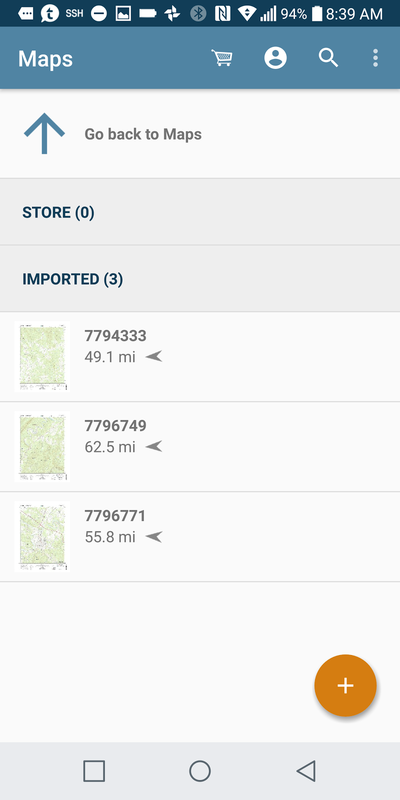 While I'd now figured out how to reliably import multiple USGS maps into one mobile friendly view, I'd also learned a critical lesson along the way. 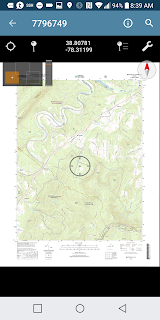 The USGS maps were far from the ideal set of maps to depend on for backpacking. 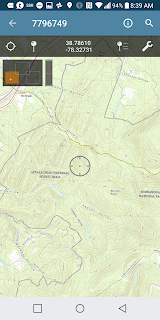 The main issue: in locations I was familiar with, trails that should be marked there weren't. In hindsight, this makes sense. 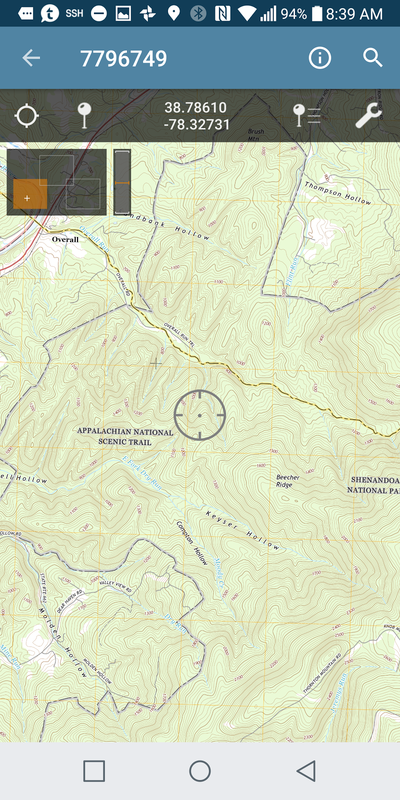 The USGS maps aren't designed for hikers and backpackers, they are general purpose mapping resource. While I think of the maps I use as being provided by the USGS, they're really provided by other services that no doubt annotate the maps beyond what the USGS provides. 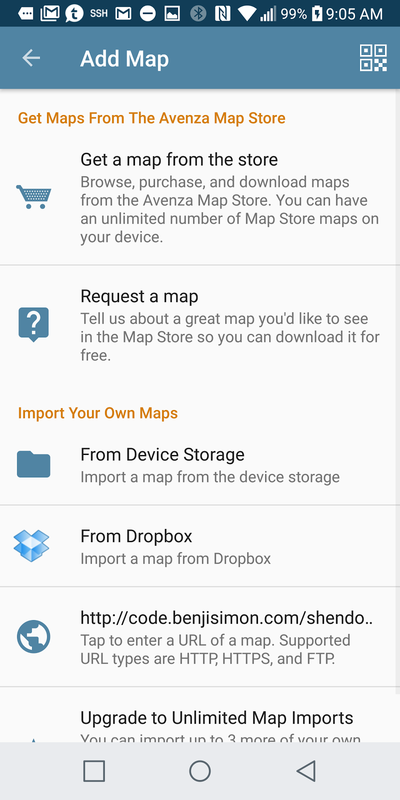 Another glitch: Avenza requires a $30/year membership if you want to import more than 3 PDF maps. 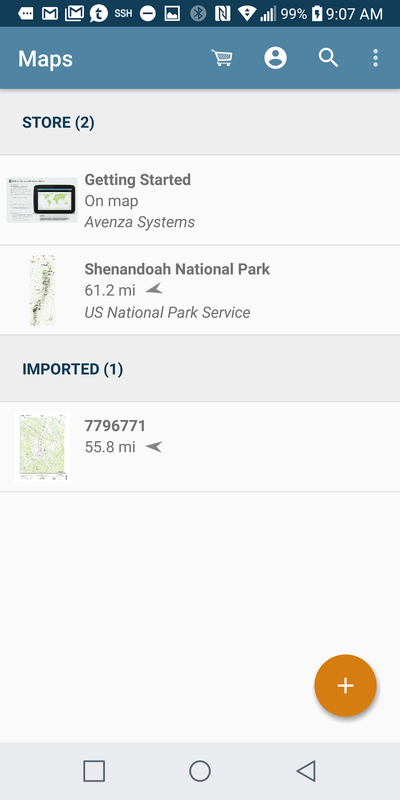 So while USGS makes downloading large collections of maps relatively easy, you can't import them without a yearly membership. 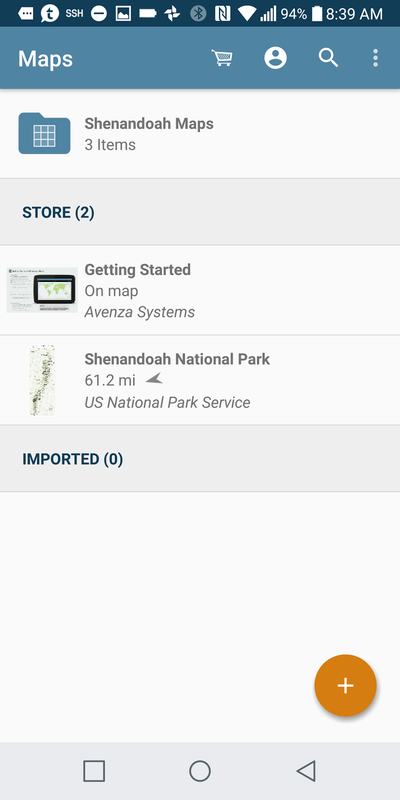 Of course, Avenza isn't limited to using USGS maps. Far from it. The application has a built in store that allows you to easily buy all sorts of mapping products. 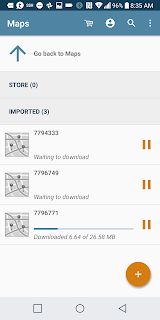 Before I splurged on them, however, I thought I would try out some other Android mapping solutions. Spoiler alert: I found a reasonably priced, high quality solution as an alternative Avenza, which is a far better fit for my needs. More on that in a future blog post soon. In the mean time, I do plan to keep Avenza on my phone. It's an impressive tool and should the opportunity come up where I need to view arbitrary GeoPDF files, Avenza is definitely the way to go.